Khetan Gajjar joined VAST Networks in June 2015 as the Chief Technology Officer (CTO) and was involved in the start-up phase of the business. As CTO his responsibility extends to the deployment, and maintenance of South Africa’s largest and only open access Wi-Fi network. Prior to joining VAST Networks, Khetan was Vice President of Product Strategy at Internet Solutions in San Francisco and during his 11-year tenure, also assumed other roles (including New Business Development Executive). 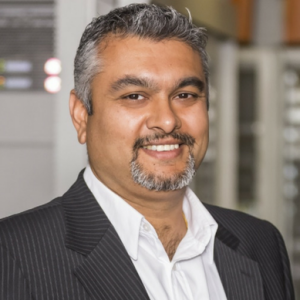 Khetan’s ICT sector experience extends to UUNET and Internet Africa – where he started his career. Khetan qualified with Honours degrees in Business Science and Information Systems from the University of Cape Town and a Management Education Programme certification from the University of Witwatersrand. Khetan’s interest lies in exploring commercial applications for new technologies and designing platforms that can scale, sustainably.